Was this guy being too forward? What do you love about the other gender? How do you get out of the “friend zone”? Why are people self destructive? Would you end the date if the person was a sloppy eater? Would you date a married guy / woman if they told you that they will divorce soon? Maybe so, but the objective of online dating is to take it offline as quick as possible... how else are you supposed to see if there is chemistry without meeting in person? 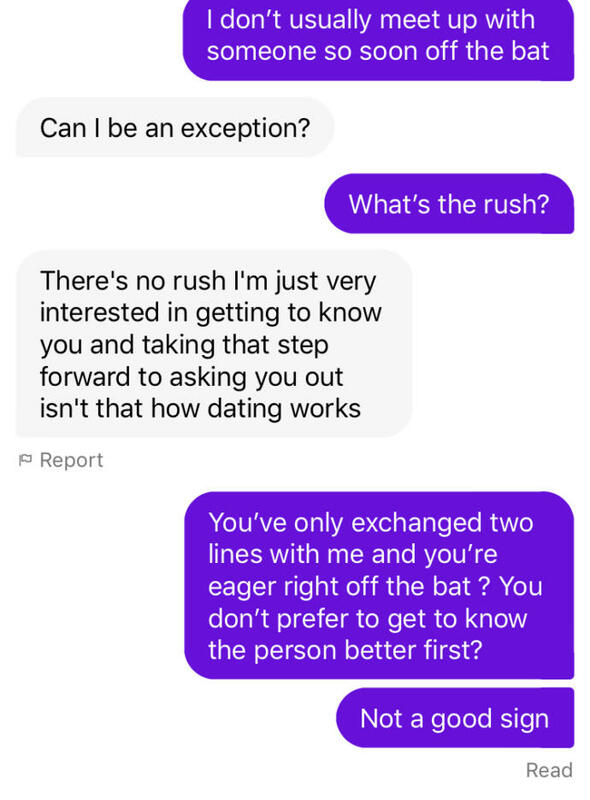 Home > Dating > Was this guy being too forward?